One Location, Three Great Programs! The First Class is Complimentary! Come try our famous and fabulous Little Heroes story-based action classes for 4-5 year-old children. The class runs September through June, once-per-week. Karate Sensei and Physical Education expert Andreas Eros safely integrates karate movements with wondrous stories, that keep your child enthralled, all the while interweaving balance, coordination, agility, footwork, speed, explosiveness, self-defense, and the essential underpinnings of athleticism and martial arts. You will be amazed at the focus, self-control, and teamwork that can be developed at this early age. It's a fun, low pressure, yet appropriately disciplined experience that the kids will love! (Parents find it pretty entertaining too!) Beginners may start at any time. 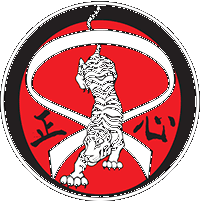 Providing a safe, challenging, and fun environment for your child year-round, Kensington Karate draws students from as far away as Coronado and Point Loma, yet is conveniently located and maintains a Kensington neighborhood feel. The classes are taught by Andreas Eros, a fifth degree black belt with 25+ years of experience teaching children, and a specialist in children's Physical Education. Separate age-groups, limited class sizes, month-to-month memberships, an emphasis on courtesy-respect, and a family-friendly environment make this a stand-out program. Beginners may start at any time. Teens love the physical and mental challenge of martial arts, especially when it is strong on practical self-defense, conditioning, and mat work. Unlike the rougher side of MMA that one might hear about or see on TV, traditional martial arts teaches respect for partners and emphasizes safety through controlled techniques, so your son or daughter can practice safely, learn some amazing moves, gain confidence, find focus, get more fit, make friends, add to her/his sense of community, and have a blast! Mr. Eros has produced numerous black belts, and teaches each class personally. Beginners may start at any time. Learn More or Sign Up for a Complimentary class.